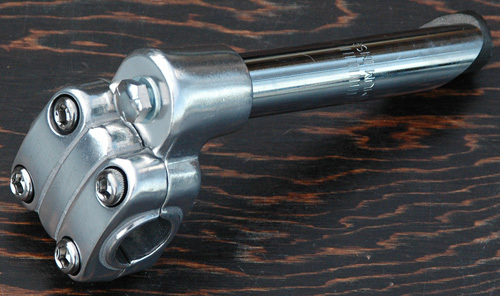 New Alloy & Steel 4 Bolt Bicycle Quill stem. 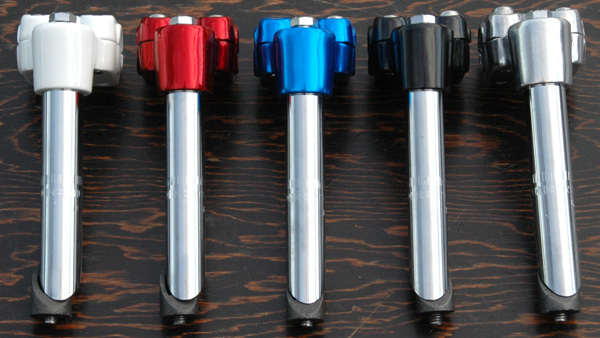 Stem comes in 5 Colors: Silver, Black, Blue, Red, and White, in sizes 13/16"-21.1mm or 7/8"-22.2mm. 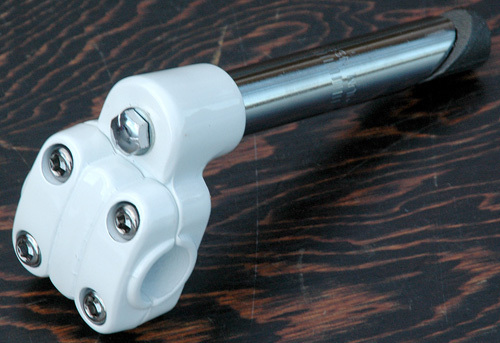 The 7/8"-22.2mm stem we use on our ever popular Recycled Schwinn Deibo Cruisers and Fit Our Lux Low Forks. 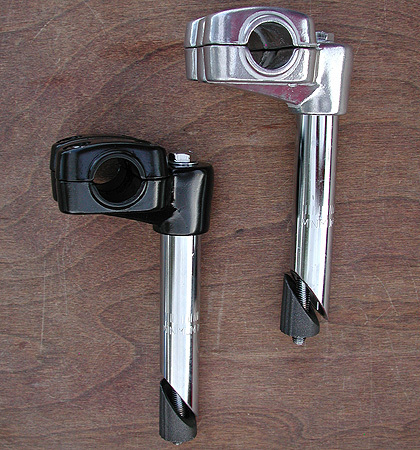 Tough Durable Stem with 4 Bolt Clamp Pattern giving you superior strength from handle bar slipping and must for large handle bars. These Stems are for 7/8" center handle bars, Handlebars WITH OUT the large 1" center. 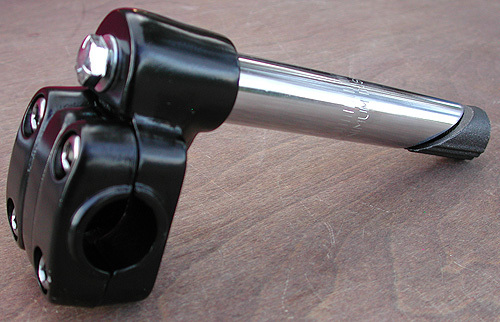 Quality Alloy & Steel 4 Bolt Old School BMX Type Quill Stem. Stem comes in 5 Colors: Silver, Black, Blue, Red, and White with a Chrome Steel Stem Post. 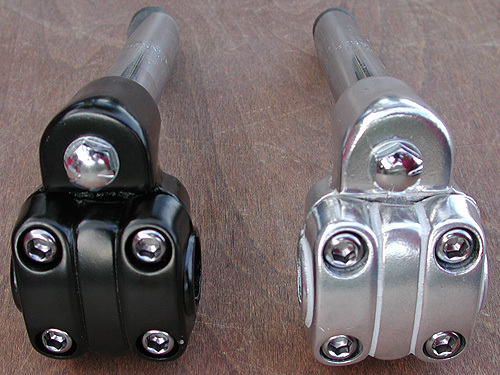 Stem comes in 2 sizes 13/16"-21.1mm or 7/8"-22.2mm. The Sizes are in relation to the the size of the opening of your top nut and fork tube, the stem post diameter will have to slide in to opening snugly. On Vintage Schwinns: the 7/8" also 22.2mm ( Bigger size ) was used from the early 1900's to 1965, The ( smaller size ) 13/16" also 21.1mm was used on Schwinns from 1966 till the 1980's. You will Find this is usually the case across the industry, but measuring your top nut and fork tube is the best method. 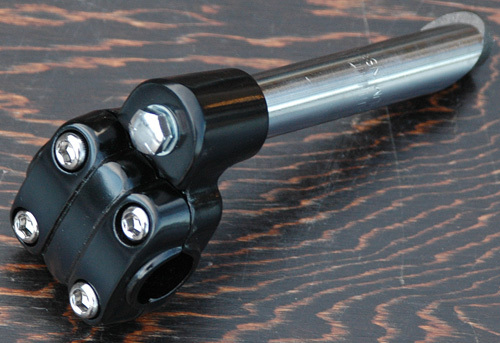 The 7/8"-22.2mm Stems fit our Lux Low Forks, the one used on our Deibos. 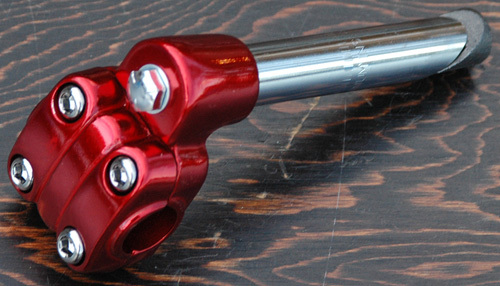 This Stem takes a 7/8" center handle bar, Thats a Non Flared center. If you have a traditional flared 1" center handle bar we would suggest our 2 bolt Black Quill Stem. Quality look and performance for your vintage bicycle restoration or custom chopper project or Fixie Fascination.